Po roku przerwy do Krakowa powraca Live Festival. Tym razem impreza ma nowego sponsora tytularnego – jest nim miasto Kraków. Oprócz sponsora organizatorzy zmieniają też formę wydarzenia. Co wiemy o tajemnicznym Kraków Live Festival? Fundacja Alter Art wzięła udział w otwartym konkursie ofert na realizację zadań publicznych Gminy Miejskiej Kraków w obszarze kultury, sztuki, ochrony dóbr kultury i Dziedzictwa Narodowego w latach 2015-2017 pt. 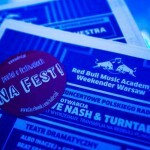 „Cyklicznie realizowane festiwale i przeglądy o znaczeniu promocyjnym dla miasta” i otrzymała dofinansowanie na wydarzenie pod nazwą Live Music Festival. Informuje Filip Szatanik z Urzędu Miasta Krakowa. Dziś o godzinie 12 organizatorzy opublikowali informację o pierwszych artystach, którzy potwierdzili swój udział w wydarzeniu. 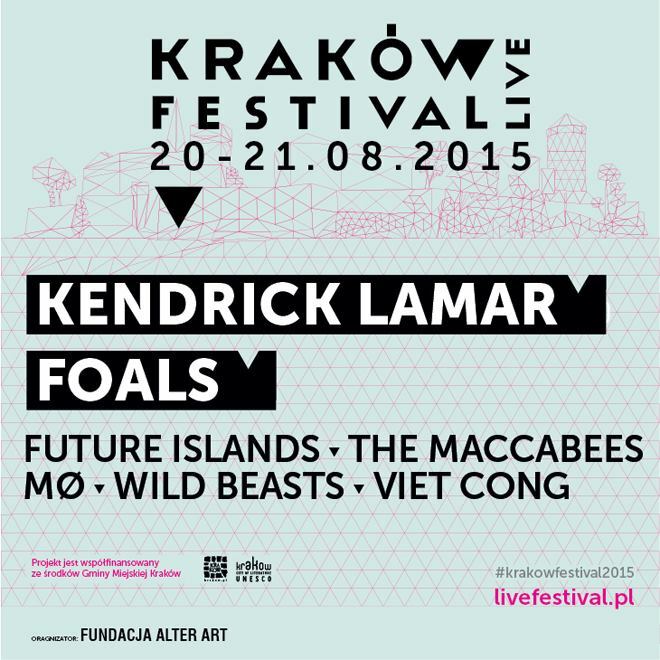 Headlinerzy to: Kendrick Lamar oraz Foals. Przypominamy, że Kendrich Lamar miał wystąpić na tegorocznym Open’erze, jednak jego występ został odwołany. Ogłoszenie KLF jest więc swego rodzaju rekompensatą dla polskich fanów muzyka. Festiwal odbędzie się w dniach 20-21 sierpnia na krakowskich Błoniach. Jak czytamy na FB wydarzenia, mamy przygotować się na „2 dni, 2 sceny w namiotach”. Dodatkowo 22 sierpnia ma być dniem wydarzeń specjalnych. Bilety dostępne są w ALTERSKLEPIE oraz w punktach sprzedaży eBilet. I wish to convey my respect for your kindness giving support to people who should have guidance on the issue. Your special commitment to getting the message all over has been surprisingly advantageous and has in most cases empowered individuals much like me to reach their dreams. The useful tips and hints entails so much a person like me and still more to my peers. Thanks a lot; from everyone of us. Fantastic goods from you, man. I’ve understand your stuff previous to and you are just extremely fantastic. I really like what you have acquired here, really like what you’re stating and the way in which you say it. You make it entertaining and you still care for to keep it smart. I can not wait to read far more from you. This is actually a terrific website. Thanks for all of your work on this web site. My aunt really loves participating in research and it is easy to see why. My spouse and i hear all regarding the compelling medium you present insightful techniques on the web blog and even encourage participation from other individuals on this subject matter so our child is certainly starting to learn a whole lot. Take pleasure in the rest of the new year. You’re the one doing a fantastic job. Hi folks here, just started to be aware of your wordpress bog through Yahoo and bing, and have found that it’s really good. I’ll value should you decide carry on this. I am glad for commenting to make you be aware of of the extraordinary discovery my wife’s girl developed checking your site. She came to find many things, not to mention what it is like to have a wonderful helping style to have men and women effortlessly grasp specific tortuous issues. You actually surpassed her desires. Thanks for displaying such precious, dependable, informative and also cool thoughts on the topic to Ethel. Wonderful goods from you, man. I have understand your stuff previous to and you’re just too magnificent. I actually like what you’ve acquired here, certainly like what you are stating and the way in which you say it. You make it entertaining and you still take care of to keep it wise. I cant wait to read far more from you. This is actually a terrific site. I’m commenting to let you understand what a superb experience my wife’s daughter undergone studying your web page. She came to find too many things, which included what it is like to have an incredible helping heart to have a number of people quite simply learn selected complicated subject areas. You actually exceeded visitors’ expected results. Thank you for delivering such valuable, healthy, revealing and unique tips on that topic to Lizeth. 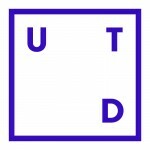 Whats Taking place i’m new to this, I stumbled upon this I have found It positively helpful and it has helped me out loads. I am hoping to give a contribution & help different users like its helped me. Good job. You really make it appear so easy together with your presentation however I to find this matter to be actually something which I think I’d never understand. It seems too complicated and very huge for me. I am looking forward to your subsequent put up, I will attempt to get the hold of it! It¡¦s truly a great and useful piece of information. I¡¦m satisfied that you shared this useful information with us. Please stay us up to date like this. Thanks for sharing. hello!,I like your writing very so much! proportion we keep in touch more about your article on AOL? I need a specialist in this house to resolve my problem. May be that is you! Looking forward to see you. you’re in reality a excellent webmaster. The web site loading speed is incredible. It seems that you are doing any unique trick. In addition, The contents are masterwork. you’ve performed a fantastic process in this matter! hi!,I like your writing very a lot! share we be in contact extra approximately your post on AOL? I need a specialist on this area to solve my problem. Maybe that’s you! Looking ahead to look you. Thanks for every other great article. The place else may just anybody get that kind of information in such a perfect way of writing? I’ve a presentation next week, and I am at the look for such info. I needed to post you the little word to finally say thanks over again over the amazing basics you’ve contributed here. It is certainly remarkably open-handed of people like you in giving freely exactly what many people could have made available as an ebook to get some cash on their own, principally given that you might have done it if you desired. These solutions likewise worked like the good way to comprehend some people have the same eagerness just as my very own to find out many more in terms of this matter. I am sure there are thousands of more pleasant instances up front for folks who read your blog post. Very excellent information can be found on web blog . „Time discovers truth.” by Lucius Annaeus Seneca. I wish to express appreciation to this writer just for bailing me out of this type of difficulty. Just after scouting throughout the the web and seeing principles which were not beneficial, I believed my entire life was done. Living without the strategies to the difficulties you’ve sorted out all through your entire article content is a critical case, as well as those that could have in a wrong way damaged my career if I had not encountered your web blog. Your own personal natural talent and kindness in playing with almost everything was tremendous. I’m not sure what I would have done if I had not encountered such a thing like this. I can at this time relish my future. Thanks for your time very much for your skilled and amazing guide. I won’t be reluctant to refer your site to anybody who desires guidance about this situation. Hi my friend! I want to say that this article is amazing, nice written and include almost all vital infos. I¡¦d like to look extra posts like this . I precisely desired to thank you so much once again. I am not sure the things that I would have followed in the absence of the recommendations revealed by you on that situation. It had become a traumatic setting in my circumstances, however , taking a look at this well-written style you processed that forced me to cry for fulfillment. I’m happy for your support as well as trust you really know what a great job you have been doing teaching the rest with the aid of your blog. More than likely you haven’t encountered all of us. With havin so much written content do you ever run into any problems of plagorism or copyright infringement? My site has a lot of exclusive content I’ve either authored myself or outsourced but it looks like a lot of it is popping it up all over the internet without my agreement. Do you know any methods to help reduce content from being stolen? I’d really appreciate it. you’re in reality a excellent webmaster. The web site loading speed is amazing. It sort of feels that you’re doing any unique trick. Furthermore, The contents are masterwork. you have done a fantastic activity on this matter! I just want to say I am very new to blogging and site-building and truly liked you’re web-site. More than likely I’m going to bookmark your blog post . You certainly come with terrific writings. Thanks a bunch for sharing with us your web page.